Technological advances have permitted to improve the process in which informed consent is obtained. In most medical research, informed consent has been accepted as ethically essential, despite being a relatively new concept in the United States.1,2 Technological advances have permitted us to improve the process by which informed consent is obtained. In addition, new methods of obtaining consent are offering options that can bridge the geographic distances between researcher and participant, while making study information more easily accessible. Dr Grady spoke with Clinical Pain Advisor on the issue of informed consent, the advent of digital and electronic consent, and how the newer modalities are helping to bring the consent process into the 21st century. Clinical Pain Advisor: Could you please describe the primary goal of informed consent in medical research? Dr Grady: In my view, the main goal is to give people the information they need to make decisions as to whether or not to participate in medical research. In certain circumstances, the participant may have difficulty providing their own consent, which puts the responsibility on the investigators to find other ways to protect them. For instance, in some cases, a legally authorized representative can give permission for an individual to be part of a study if they are not able to consent for themselves. Clinical Pain Advisor: Can you briefly explain the process for traditional paper informed consent? Dr Grady: In most situations, informed consent is obtained before a study participant enters research. 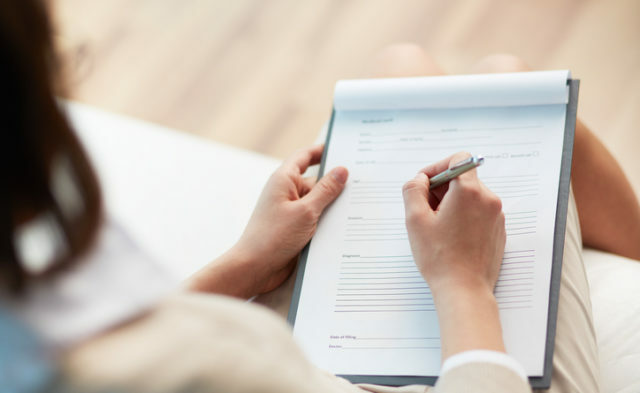 It usually involves face-to-face meetings with the participant, in which researchers explain the study and offer a written consent document to be read and signed once ready. Part of the reason we wrote the review article was because in contemporary times, certain kinds of research are being conducted in which the investigator never meets the participant in person, and in some cases has little-to-no interaction with him or her. So the question is, how do you think about consent in those spaces? Part of what has also happened is we now have a lot of information technology, which creates interesting opportunities for exchanging information in creative ways that could potentially substitute for face-to-face consent. Clinical Pain Advisor: In what ways does the traditional process impede medical research? Dr Grady: One could argue that sometimes proximity is a problem. It takes time to get enough people to come to a particular location, or to find and recruit them in a way that allows for face-to-face interaction with the researcher. Certain models for doing internet-based research now exist in which participants themselves go on to a portal, find information about the study, read or watch a video about the study, and decide whether they want to participate. If they decide to get involved, they can do an e-consent and contribute their data periodically over the internet. This process allows for the inclusion of many more people from many different places. However, not every study could be conducted that way. Clinical Pain Advisor: In addition to internet-based consent, how else has the process of informed consent changed with the technological developments of the 21st century? Dr Grady: In general, recent advances are giving us the opportunity for more creative ways of exchanging information. The limitations of a piece of paper with a lot of words on it are fairly obvious. However, if you take that same information and put it in an interactive format that allows the participant to read it in pieces and answer questions along the way, the possibility of engaging with and absorbing that information, at least in theory, goes up. So this creates opportunities that might help people understand the information better than they have in the past with written forms. One example is app-based consent, which is really interesting and promising, particularly for certain age groups and people who regularly use their smartphones. This modality offers a great way to engage these individuals, and, for researchers, provides a new tool for our toolbox. Clinical Pain Advisor: What do you believe is the most promising alternative to paper-based informed consent? Dr Grady: It depends on the circumstances of the study, including what the study is about, how many people are needed in it, and what kind of participants are appropriate. So age matters, computer or technological literacy matters, and culture matters, among other things. For me, the electronic and digital alternatives provide different tools for investigators that allow them to tailor the approach and information to a particular participant pool, which is a good thing. Nevertheless, I do not believe there is just 1 modality that everyone should use. Clinical Pain Advisor: Is there still a debate about which of the modalities are the most effective? Dr Grady: One of the major points I tried to make in the part of the article I wrote was that we need evidence to know what modalities work best in what setting. For example, there are some data on strategies to improve understanding in the context of informed consent. Some of the older data suggest that videotapes and interactive computers do not make a difference.3,4 There are some newer data that suggest study information comprehension is improved using certain engaging methods, but the time it takes to do the consent process is increased.5 Ultimately, what we need are data to say in what circumstance does the interactive approach to providing information increase comprehension and satisfaction, and is therefore worth the cost and time, and in what settings does it seem to make less of a difference or no difference. Clinical Pain Advisor: Going forward, what steps should be taken to improve the informed consent process? Dr Grady: If we believe it is important for people to understand study information to give consent to participating in research, then we need to find strategies that will enhance understanding. Data suggest that understanding of study information is at best variable and is often quite limited,6 so we need to do better. One possible direction for future research is to test these new technologies and ways of obtaining informed consent to see whether they, in fact, have the capacity to increase understanding among participants. Personally, I think some of them will, while some might be dependent on the population and culture. Faden RR, Beauchamp TL. A history and theory of informed consent. New York, Oxford: Oxford University Press, 1986. Flory J, Emanuel E. Interventions to improve research participants’ understanding in informed consent for research: a systematic review. JAMA. 2004;292(13):1593-1601. Rowbotham MC, Astin J, Greene K, Cummings SR. Interactive informed consent: randomized comparison with paper consents. PLoS One. 2013;8(3):e58603.